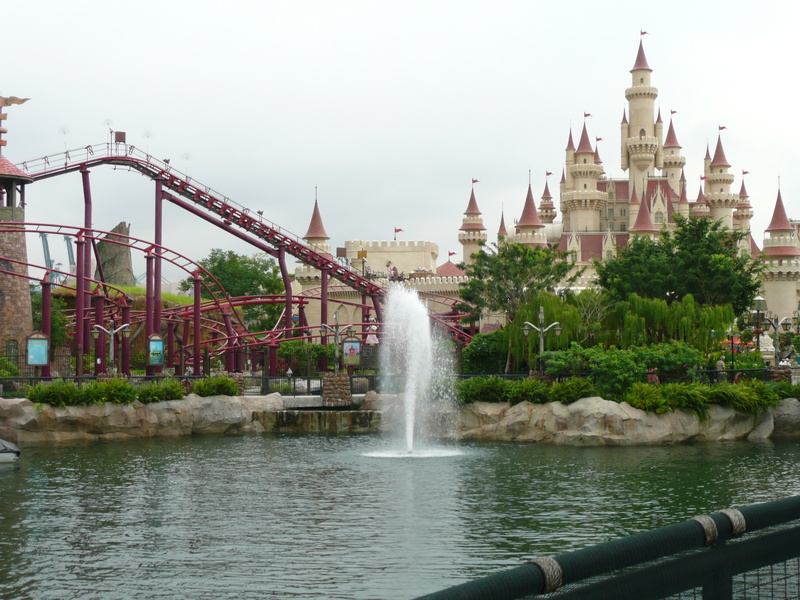 Universal Studios Singapore is the first park to have a zone themed on the highly successful Shrek movies – I’m a big fan of these too. Far Far Away is next to Madagascar and the first thing that you see is Shrek’s outhouse on a hill next to its entrance. Once you head through the gate you can’t miss the wonderful castle that has been recreated. 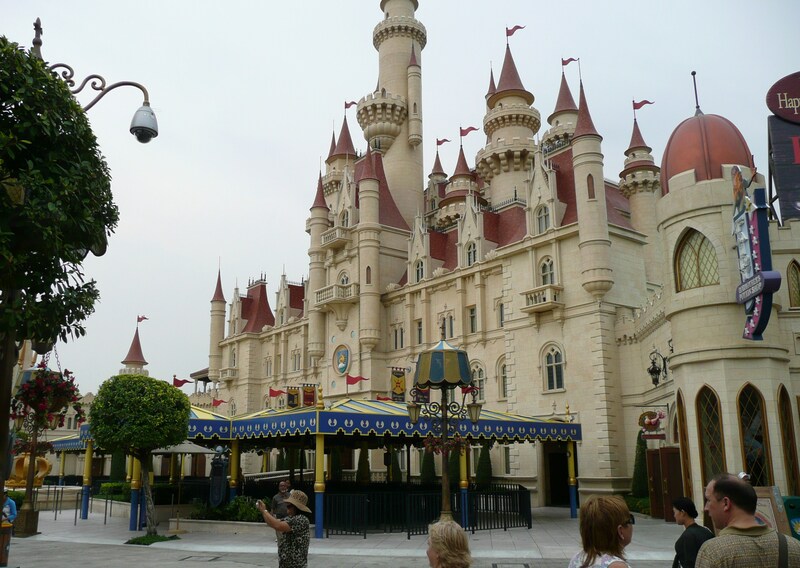 This castle houses the main attraction in Far Far Away which is the Shrek 4D Adventure. Some of you may have seen this at other parks – I’ve seen this one at Universal Studios Hollywood and at Movieworld in Australia. It’s a fun 4D adventure that begins in the dungeon where the ghost of the vertically challenged Lord Farquaad has captured the Three Little Pigs and Pinocchio. From there you are ushered into the movie theatre, complete with 3D glasses, to watch another exciting Shrek tale. The seats jolt you at all the right times and you are bombarded with bursts of fine water spray and vibrations to give you the excellent 4D effect. Another favorite of my kids was the ‘Enchanted Airways‘ rollercoaster where you ride on the back of Donkey’s flame – the dragon. This is a kids size rollercoaster which has some great twists and turns that provide a great thrill for young and old. Once again the lines at this one were only 5 minutes on the days that we went to the park. I think we rode this one about half a dozen times. 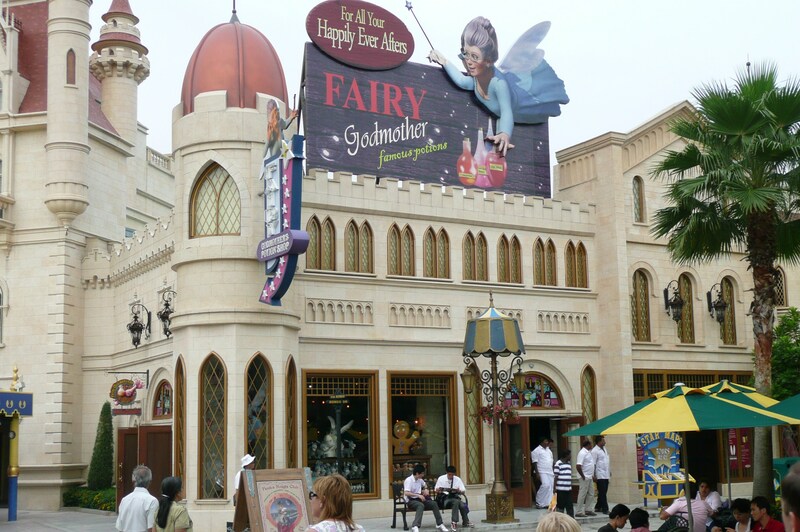 Another attraction was ‘Donkey Live’ – but we didn’t get to see this one and there was also a small ferris wheel ‘Magic Potion Spin‘ inside the Magic Potion shop (our kids were too big for this one – it’s suited to younger kids). As with any Universal Studios zone, the attention to detail in the buildings was so well done it was like you really had landed in Far Far Away. Previous Post Woo Hoo ! Now in paperback too! These parks bring stories to life. We’ve always been fans and now our kids love them too. They are an escape from the everyday into the stories that they love.